In order to achieve this, we include a wide variety of exercises to improve strength, flexibility and cardiovascular fitness. A low client-to-staff ratio ensures every individual achieves a safe and effective workout in a welcoming and supportive atmosphere. 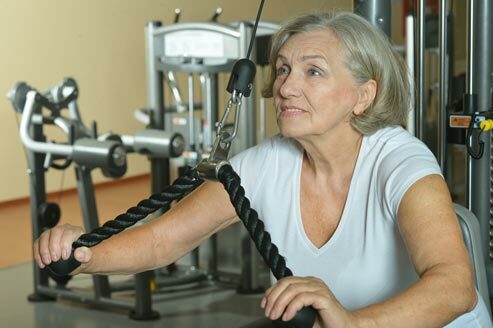 It is well evidenced that exercise is a vital element in the successful management of the symptoms of MS. Here at Dublin Physiotherapy Clinic, we are pleased to be able to offer our clients specialist group exercise classes under the supervision of our Chartered Neurophysiotherapists. Our programmes are designed with specific symptom-management in mind, including fatigue, decreased mobility, stiffness, pain and weakness. Utilising our fully equipped gym facilities to provide a varied and interesting range of exercises, we aim to improve flexibility, strength and cardiovascular fitness. Working in a friendly and relaxed atmosphere, clients can feel confident to challenge themselves in a safe environment, with many reporting the added benefits to mood and morale gained from the social aspects of peer-support.